Numerian Potin Tetradrachm of Alexandria. Year 2=283/4 AD. 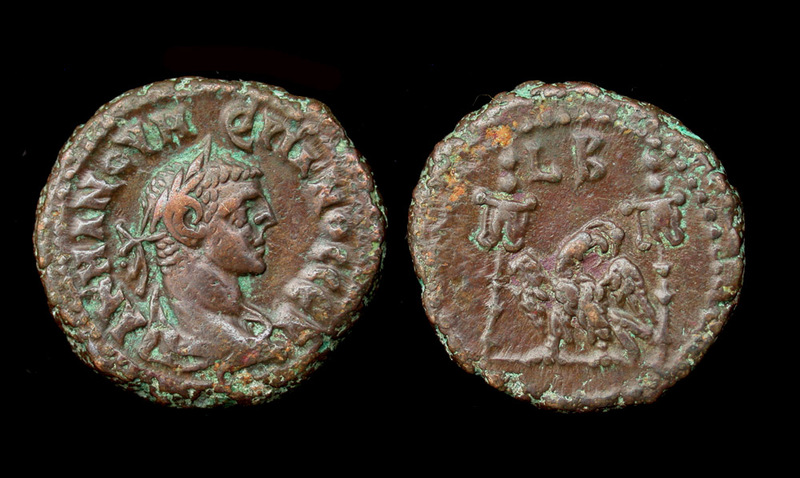 Con/ EF/EF; glossy dark brown patina, perfect centering on both sides, complete and legible inscriptions, handsome portrait, and a drop-dead crisp-struck reverse. Rev/ LB above eagle standing left, head right, wreath in beak, flanked by two standards (Vexcilla). Ref/ Köln 3190; Dattari 5616, Emmett 4018; Sear 12274. Sellers Note/ This issue is simply gorgeous, trust me. A true gem for discerning Roman Egypt collectors.